The last few months have not been easy at OCZ. After long-lasting financial issues, the company filed for bankruptcy on November 27th and a week later Toshiba announced that it will be acquiring the assets for $35 million. Yesterday OCZ announced that the acquistion has been completed and were finally able to shed some lights to the details of the deal. To my surprise, OCZ will continue to operate as an independent subsidiary and won't be integrated into Toshiba's own SSD team. I'm guessing Toshiba sees financial potential in OCZ and is hence keeping things as they are. The only change aside from the change of ownership is a new brand logo and name: OCZ is now called OCZ Storage Solutions to further emphasize the focus of the company. Last time I heard OCZ was looking for a buyer for its PSU business but it seems they've not found one yet. Update 1/31: We finally have an official statement regarding warranties. Update 2/1: OCZ has a buyer for its PSU division and we'll have more details in a couple of weeks. The RAM and cooling divisions have been discontinued a long while ago, though. 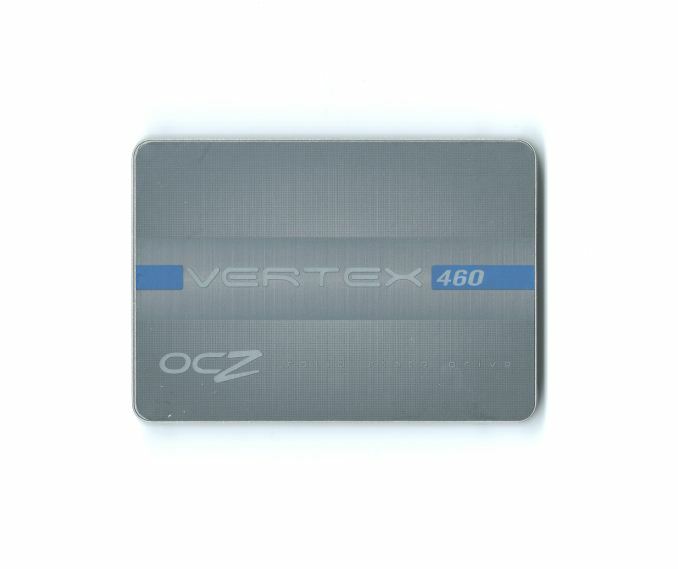 The Vertex 460 resembles OCZ's flagship Vector 150 a lot. In terms of hardware the only difference between the two is that the Barefoot 3 controller in the Vertex 460 is slightly lower clocked than the one in Vector 150. The Barefoot 3 in the Vector 150 runs at 397MHz while in the Vertex 460 it's clocked at 352MHz. The speed of the controller isn't proportional to the overall performance but there are scenarios (like intensive read/write workloads) where a faster controller will help. Both drives actually use exactly the same NAND (identical part numbers) but each Vector 150 goes through more testing and validation cycles to make sure the higher endurance criteria is met. Even though the NAND should be the same in both drives, bear in mind that endurance specifications are always minimums -- one part can be more durable than the other as long as both meet spec. 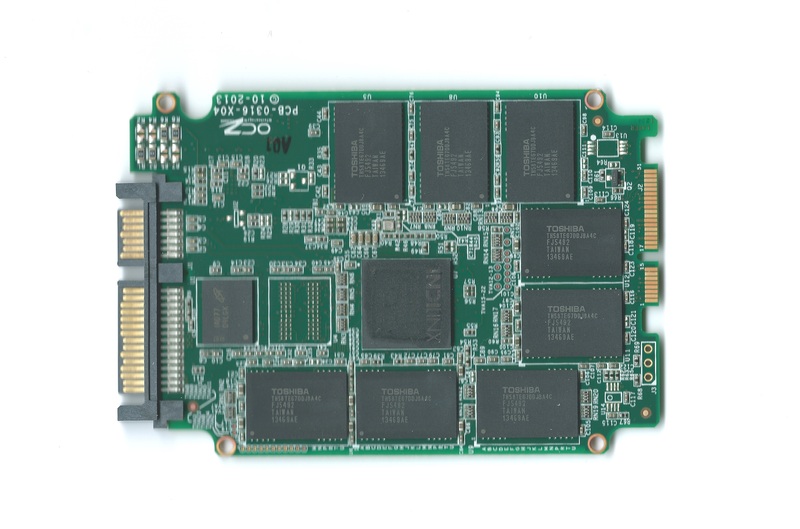 By doing additional validation, OCZ is able to pick the highest endurance parts and use them in the Vector 150, whereas lower quality chips (but good enough to meet the mainstream endurance requirements) end up in the Vertex 460. The choice of identical NAND in both models is indeed odd but I'm guessing that Toshiba had a hand in this. The Vertex 450 used Micron's NAND but obviously Toshiba doesn't want to use a competitor's NAND in their products, hence the Vertex 450 is replaced with the 460 and Toshiba NAND. Similar to the Vector 150, the Vertex 460 switches to 12% over-provisioning. This seems to be an industry wide trend and to be honest I'm happy with that. The few percents extra makes a huge difference in terms of IO consistency, which in the end accounts for a better user experience. Having more NAND dies to multiiplex IO over only helps for some parts of the write process; and the more of them you have the less adding still more will help because other factors dominate more of the total time (Amdahl's law). As a result going to 500 from 250 gives less of a percentage boost than going to 250 from 120.